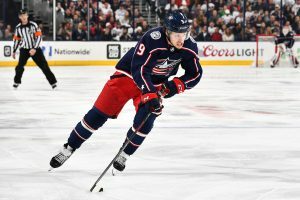 This offseason the Boston Bruins have been involved in many rumors, and one name they are linked to is Artemi Panarin. The Blue Jackets left winger is in the final year of his deal and has not committed to re-signing with Columbus. 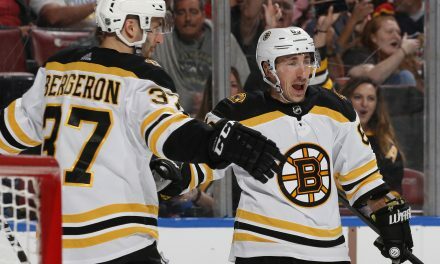 He can give the Bruins a major boost offensively, as his lowest point total in his first three seasons is 74. He is also only 26, meaning the Bruins would be adding a young impactful forward. Acquiring him would not be cheap, but he would make the Bruins a more dangerous team. Panarin was signed by the Blackhawks to a two-year-entry level contract in the 2015 offseason. He was passed over in the 2010 NHL Draft, but Panarin made a name for himself in his rookie season. The young forward made his debut during the 2015-2016 season. He appeared in 80 games, scoring 30 goals while adding 47 assists. Panarin won the Calder trophy which is awarded to the NHL’s best rookie. He surprised everyone in the NHL including his own team who had high expectations, but were not expecting a 77 point rookie season. He followed up his rookie year with an even more impressive sophomore campaign. Panarin was impressive in second season as he did not endure a sophomore slump. He had 74 points for Chicago but last year had a career year. 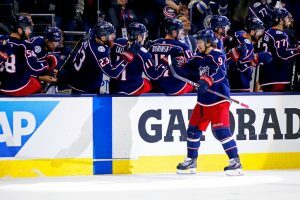 In 81 games after being traded to Columbus Panarin set new career highs in points with 82 and assists with 55. He was key on the powerplay as he had 28 points. 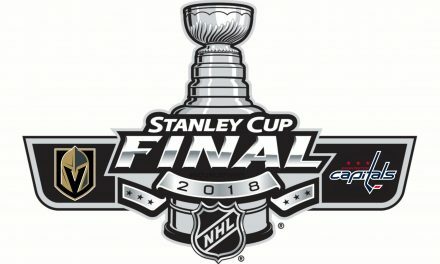 In each of Panarin’s first three seasons he has never had less than 26 points on the man advantage. He is durable as he has played in at least 80 games the last two years. Acquiring the young forward would mean parting with some impactful pieces. Can Sweeny Pull it Off? 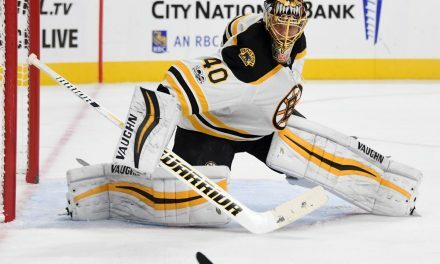 The Bruins are a team that could have the pieces to acquire the young forward. They have a plethora of prospects that could interest Columbus. 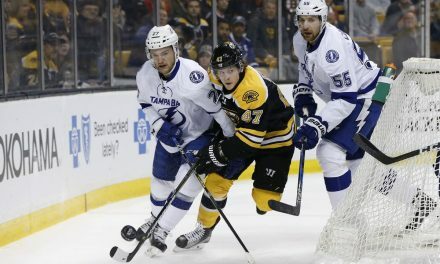 They also have NHL proven pieces such as David Krejci, Torey Krug, and Danton Heinen. The Bruins would need to be sure they could re-sign Panarin as the cost would be too great for just a one year rental. If they could sign Panarin then they would have Marchand, Pastrnak, and Panarin under control for at least the next five years. Acquiring Panarin would improve this team, and he is a key player to watch as the offseason continues.